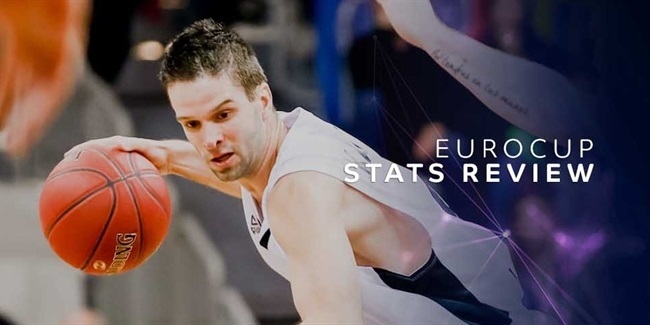 The average 7DAYS EuroCup Top 16 possession has been converted for 0.94 points per possession, down from 0.97 during the regular season. As defenses have begun to control the action on the floor, players who can continue to score at an efficient level give their teams an edge. The table above separates the EuroCup Top 16's most efficient scorers into two groups: one with a low-usage threshold to include most of the competition's rotation players; and another featuring high-usage scorers. Perhaps the most notable characteristic of the high-usage list is that, in a way, it mirrors the standings. 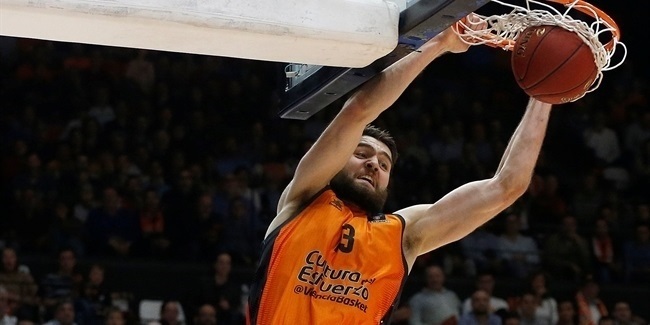 The top three high volume scorers hail from two of the competitions three undefeated teams: Valencia Basket, LDLC ASVEL Villeurbanne and MoraBanc Andorra. Overall, seven of the 10 players on the high-usage list have helped their teams to two or more wins. The qualified players list does not measure up to the same standard, with only three players coming from teams currently positioned for the postseason. Among the top performers, John Shurna has scored 9.3 points per game on spot-up shooting, with an eFG% of 83%, while Andrew Albicy has scored 1.64 points per jump shot and leads the Top 16 in fouls drawn. Both drive MoraBanc Andorra's offensive success. As a team, Andorra has scored 0.98 points per possession, right on their regular season standard. 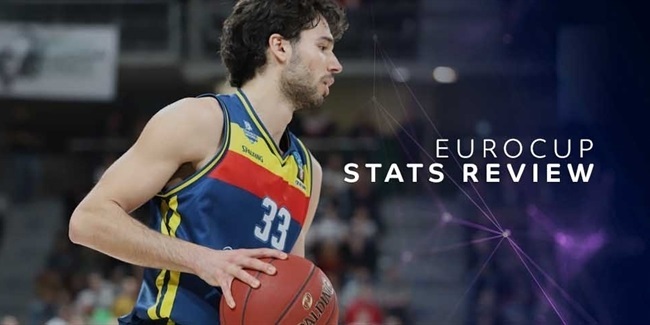 As scoring efficiency league-wide has dipped, Andorra has held steady thanks to the stellar shooting of their top-two scoring threats. Veteran forward Will Thomas has had a similar impact on Valencia Basket's offense, but in addition to shooting 3 of 7 from beyond the arc, he has scored very consistently in the post and been rewarded for his hard work running the floor in transition. The same is true of ALBA Berlin's Luke Sikma, another versatile forward who has stood out in the Top 16 despite the level of competition. Mathias Lessort may not stretch the floor but has emerged as a dominant force inside for Unicaja Malaga, shooting 7 for 8 in finishing situations and 7 for 9 going one-on-one in the post. Drawing 8 fouls in the act of shooting through three games, Lessort's combination of strength, athleticism and aggressiveness has shined in the competition's second phase. Among qualified players, a few mid-season acquisitions have thrived in their respective roles. Edo Muric and Eric Buckner did not join Cedevita Zagreb and AS Monaco, respectively, until the Top 16, but have quickly found their comfort zones. Muric's ability to score efficiently playing off the ball from the perimeter and around the basket has been a plus for Cedevita, while 7 of Buckner's 10 made shots have been dunks, providing a legitimate lob threat for Monaco. Jamel McLean of Lokomotiv Kuban looks out of place on the qualified players list, narrowly missing a spot on the high volume scorer leaderboard. Drawing free throws on 14 of his 28 possessions through three games, McLean has scored in a variety of ways around the basket, his physicality propelling his extremely efficient Top 16 to this point. Vladislav Trushkin and Katin Reinhardt have also posted gaudy efficiency numbers by making shots in a variety of ways. Both have hit catch-and-shoot jumpers with good consistency, but Trushkin has made several timely put-backs and Reinhardt has drilled multiple jump shots following hand-offs in addition to a clutch half-court shot. Lasting just six games, the Top 16 magnifies the importance of every possession. Players who can come up big, even in a small sample, can give a team the points needed to earn an extra victory. For many teams, that can be the difference between a playoff berth and an early end to their EuroCup season.